Continue reading BlogRush – A new MyBlogLog ? He also mentions what are the most important aspects of a story, before he clicks to read it. Remember when Feedburner aquired Blogbeat ? Well, they are ready to make a blog stats/analytics plugin of their own, and release ot to the public, free. Since Performancing will close their Metrics service pretty soon (or make it open-source, although I doubt that), and since Google is not ready yet with their MeasureMap service (I emailed them about a beta test account, or an aproximate release date, and they didn’t had any info for me, except “it’s coming”), the Feedburner stats will be your best choice. I find this message so funny… I just got it 5 minutes ago, whilst trying to access my Bloglines account. Ben Henick, a member of The Web Standards Project has just wrote 12 Lessons for Those Afraid of CSS and Standards in A LIST Apart. For all the designers that don’t have ALISTapart’s RSS feed in their reader, please start now. There are 29,116 subscribers, and those are just Bloglines subscribers. If you live in the San Francisco Bay Area and want to help make Bloglines better, we’d love your help! We’ll even compensate you for your time. Just contact us, choosing the Bay Area Blogliner as the subject. Tell us how often you use Bloglines and how long ago you started. There are about 150 of you guys only in Bloglines (using about 4 different feeds). I’m going to take advantage of this post to also let you know that I changed some category names and structure, therefore some previous permalinks will no longer work. So you might want to recheck your bookmarks and links towards my blog. Yesterday whilst updating my feeds in Bloglines, I was thinking: hey I could use a single feed that had all my other feeds. 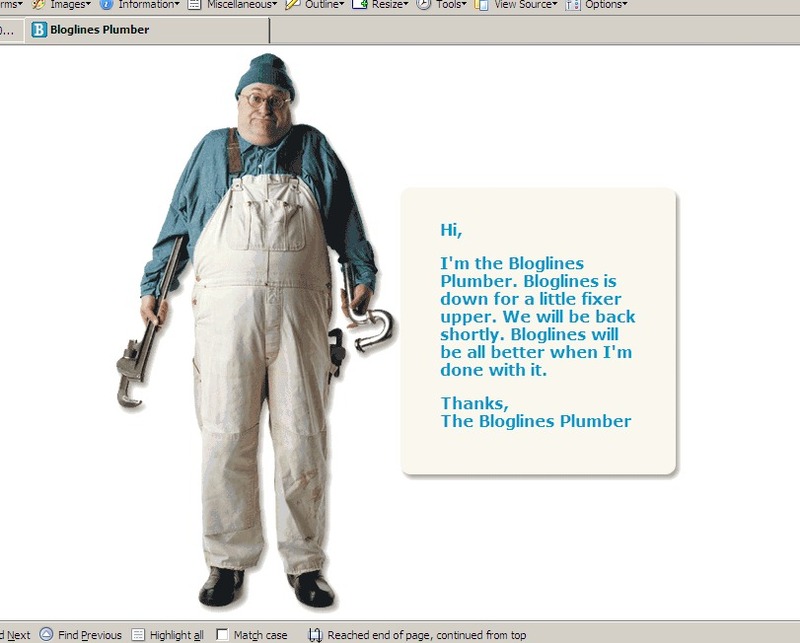 I’ve been using Bloglines for some time now. It’s the most useful and inovative online feed reader that I could find. 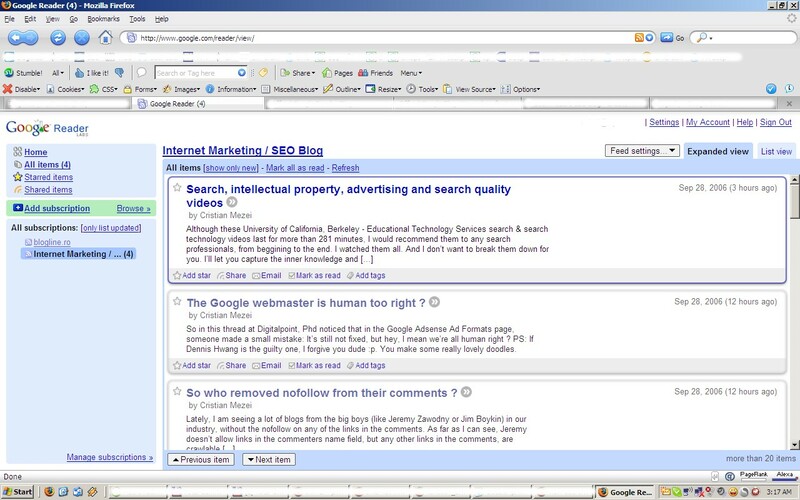 When I did my test, the only real contestants were Google Reader, Rojo, Newsgator and Feedlounge (paid, but with a 24 hour trial). They were not even close to Bloglines in my opinion.